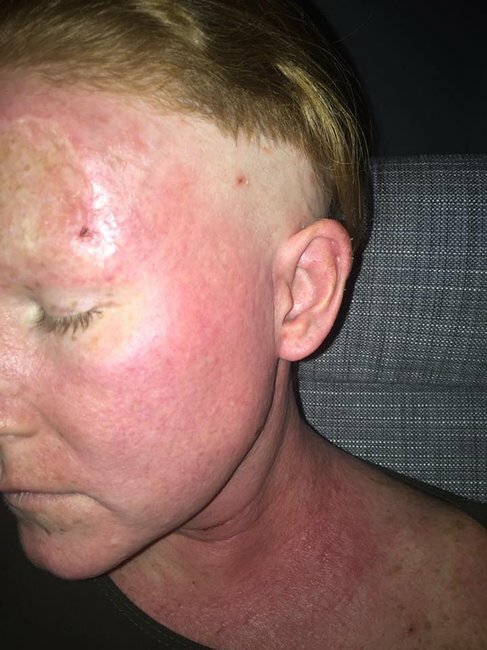 Woman's incredible skin cancer photo diary shows the reality of melanoma. The remarkable photos that show what fighting skin cancer really looks like. 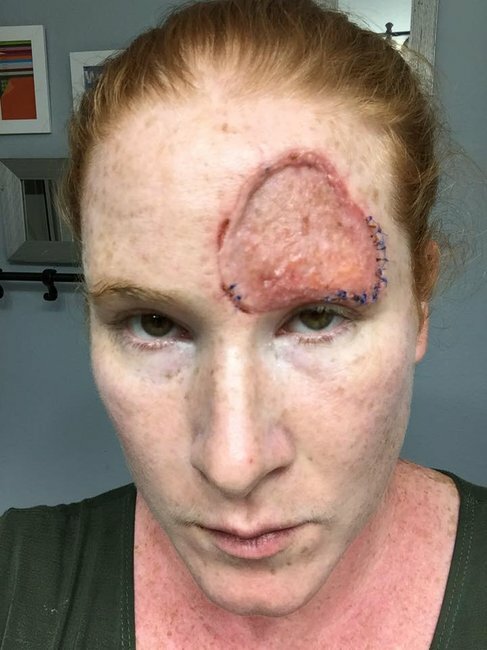 A US woman has shown the reality of skin cancer through an incredible photo diary capturing her changing face as she recovers from surgery. 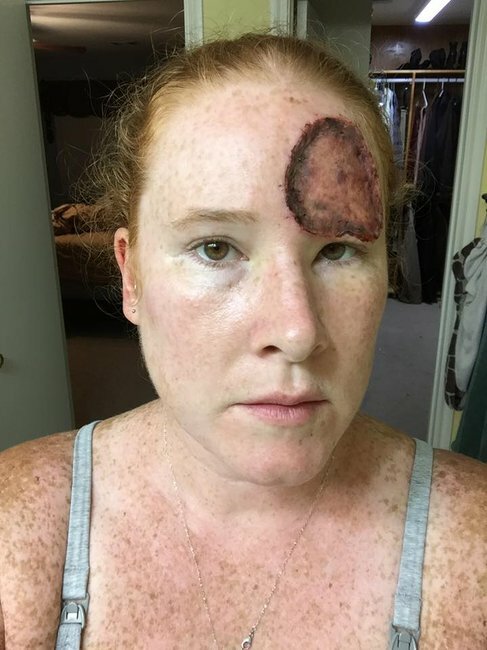 In August 2016 Bethany Gambardella-Greenway learned a mole that had appeared on her forehead during her last pregnancy was actually a melanoma that needed to be removed. What followed was two intense surgeries and months of recovery, which she documented with a series of more than 350 photos and accompanying posts on Facebook from her home in Brushy Creek, Texas. Listen: Before Emma Betts passed away, she wanted to alert the world about the dangers of sun exposure and skin cancer. “Skin cancer is ugly. F**k the sun, f**k my delicate skin. F**k sunscreen,” she writes in the introduction. 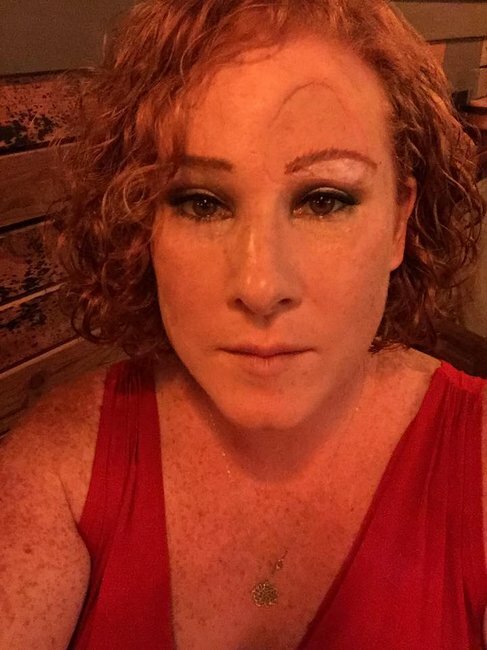 During surgery, a muscle in Bethany’s forehead along with the skin containing her left eyebrow was removed, leaving a visible indentation along with a missing eyebrow. 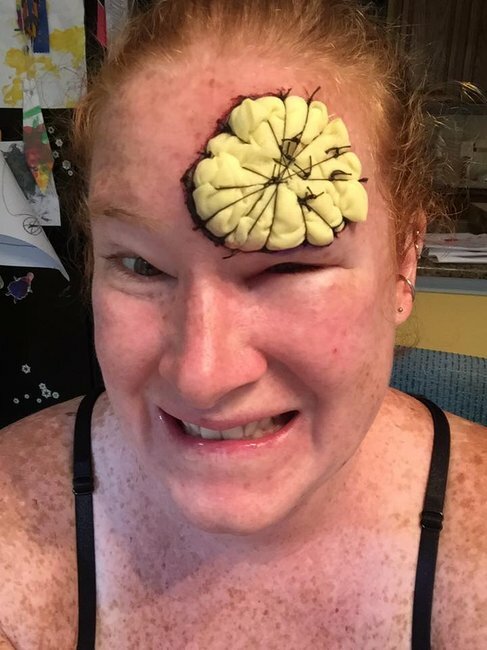 The mum-of-two shared that her self-esteem first took a hit when she found a compression bandage designed to help the skin graft adhere to her head – which she dubbed “Sponge Bob Square Pants” scared a child. "In this super awesome... Nickelodeon state I scared the crap out of the neighbour kid. After seeing the look on her face I decided I seeing anyone outside my close inner circle would not be a good idea for my already waning mental health." Giving updates on how her wound was healing, Bethany also shared her struggles to cope as a recovery cancer patient and a parent to two girls. "It&apos;s frustrating to be injured and parenting. Your cope cup is already at 80% full and the smallest sh*t that wouldn&apos;t even bug you before is now a giant ridiculous f**king evil challenge that totally ruins your day," she wrote next to an image of her swollen face. "Don&apos;t get me wrong they are good kids. I just have less patience to deal with the ridiculous process of shifting gears. I am also realising how much I did and how much time that took up plus how much energy it takes to do." 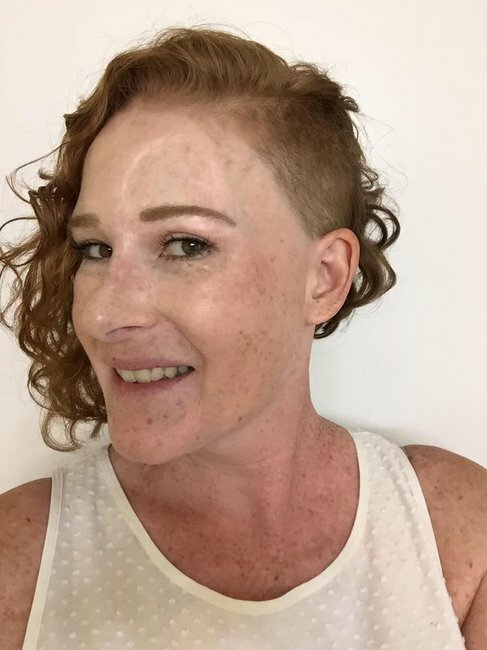 As Bethany&apos;s wounds healed and became a gradually fading scar, she wrote of how she embraced her post-skin-cancer face. "Nobody is perfectly symmetrical. I certainly am not. Why not celebrate my own imperfections?" The mum said she was "thanking the fashion gods" that her post-surgery &apos;buzz-cut on one side, long on the other&apos; haircut was in style at the moment. "I feel doubly blessed because at the time I need the most help with my eyebrows makeup trends are all about a full fluffy sculpted brow. At least all the changes happening to my face are fixed by fashion. Healing." 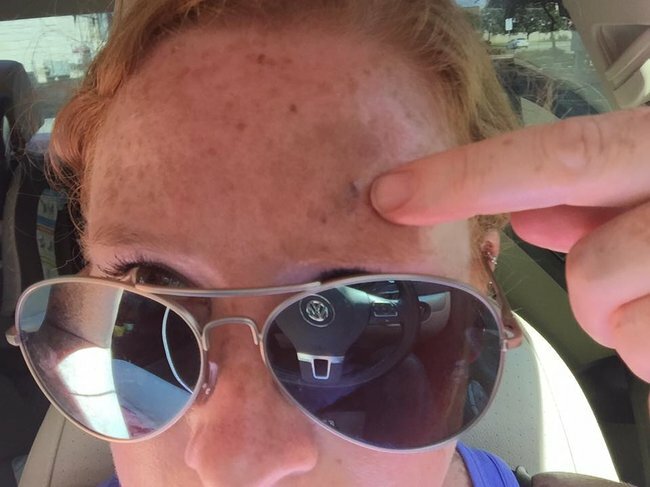 Bethany Gambardella-Greenway&apos;s melanoma photo diary. 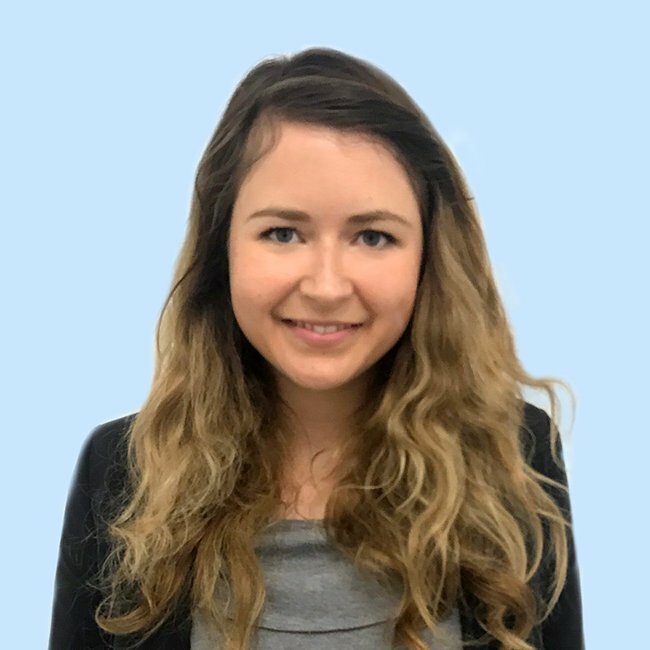 This week on GoFundMe, Bethany shared that she was awaiting facial reconstruction surgery to fill the indentation left by her surgery with fat and restore her eyebrows - something she hoped would return her face closer to its pre-cancer state. 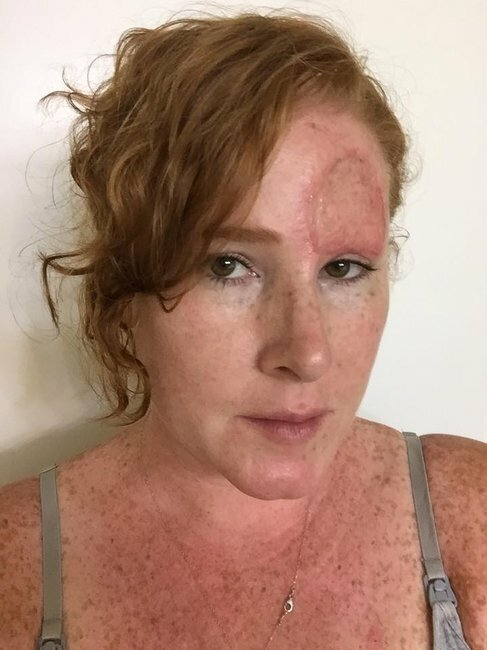 Bethany said she never thought of her story as "inspirational", but if she&apos;s inspiring people to wear sunscreen and get yearly skin checks, "I&apos;m glad." 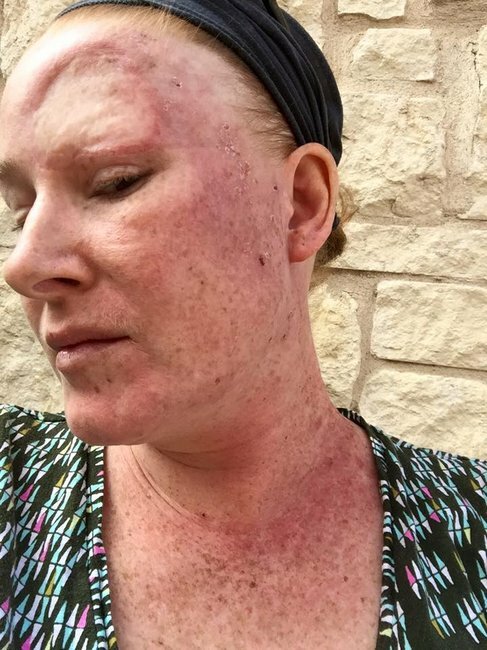 You can follow Bethany Gambardella-Greenway&apos;s journey through her melanoma photo diary here.